Remember the “desert moment” in the Bible? Gospels tell the story of how Jesus went to the desert for 40 days, during which time he fasted from food. He was tempted and tested. In that desert, the Bible tells us, he relied on God’s word and emerged even closer to God. Thinking of how people, today, can grow closer to God is a topic that’s not far from the mind of Father John McGee, O.S.F.S., pastor of Immaculate Conception Parish near Carolina Beach. After living and serving in a coastal community for the past ten years, Father McGee has an answer. “For many of us, that ‘desert moment’ in our lives could be a walk on the beach,” he says. And for some people, experiencing the tranquility of the coast and power of the waves is a way to grow closer to God. For visitors and locals alike, that growth heightens at Mass. The Diocese of Raleigh has more than 20 parishes within minutes’ drive to the coast. St. Therese Church in Wrightsville Beach is only steps from the beach. And Our Lady of the Seas in Buxton on Hatteras Island (pictured above) has a view of intercoastal waters from its sanctuary. But what makes these coastal parishes unique? 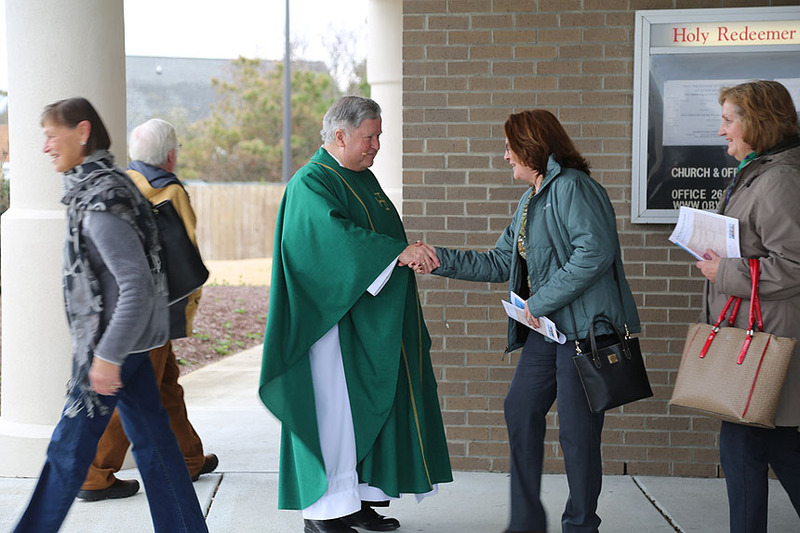 NC Catholics recently visited a few coastal parishes in August, and again in February, to find out. We wanted to see the parishes “in season” (Memorial Day to Labor Day) and out of season (Labor Day to Memorial Day.) We learned that it’s about more than numerous visitors, although at Holy Redeemer by the Sea in Kitty Hawk, 20,000 hosts are ordered for Communion for the summer months and 10,000 are ordered to accommodate parish needs from September to May. The same is true of bulletins – about 750 are printed each weekend for the off season, while 1,500 are printed each week during busy time. Ministries are on the move - Many coastal parishes operate ministries, such as food pantries. One thing that’s unique about coastal parishes’ pantries is how the shelves are stocked. (See "Vacationers play big part in pantry" below.) At St. Brendan in Shallotte, more than 400 parishioners, many of whom are retired, are actively involved in ministry, according to Deacon Bob McGahran. Groups include those who bring Communion to the sick and the homebound, as well as a health and wellness ministry. 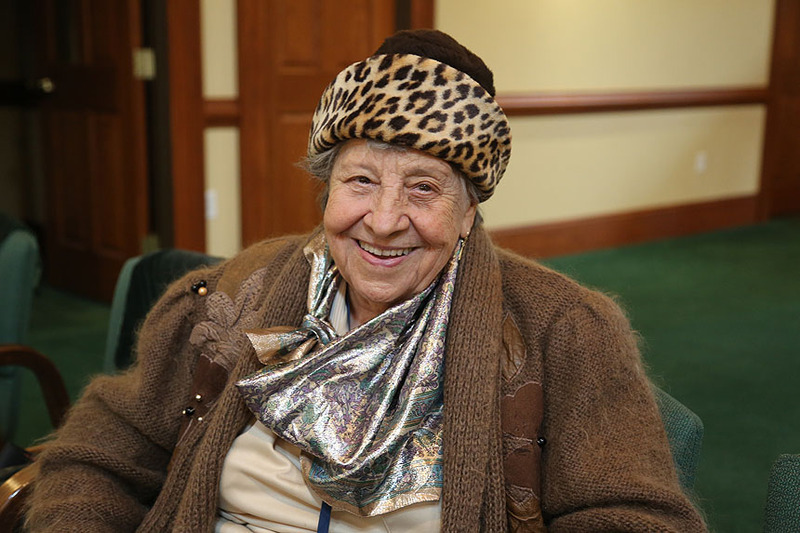 Alma McClune, 97, has been a member of the church, the southernmost in the diocese, for 31 years. She was a Eucharistic minister, but now she belongs to a parish group, Creative Spirit, that knits caps for babies and cancer patients. There’s not so much “downtime” as “different time” – According to many parishes near the beach, it’s a misnomer to think that winter brings a full-on lull. “We don’t have any downtime … it’s a beehive,” says Father Bill Walsh, O.S.F.S., of Holy Redeemer by the Sea in Kitty Hawk. “We go from the high highs of a normal parish to the high high highs of the summer.” And when it comes to Eucharistic adoration, he says, the locals are present in the off season. And in season? “They’re from all over God’s creation,” he smiles. The parish office is checking the weather – When Sunday’s weather is projected to be sunny and comfortable, the Saturday vigil Mass will bring a crowd. It’s a tried and true rule for Father McGee and his staff. Liturgical experiences can differ – and people will mention it. As Val Cummings says, visitors create a new congregation every week. “It can be challenging when people from different experiences tell us what we’re doing wrong … [but we have] a little patience every week,” says Cummings, executive assistant at Holy Redeemer by the Sea. ‘Uprooted’ Catholics are putting down new roots – For Alma McClune, her parish community in Shallotte has been like a family since she moved there from Philadelphia. “Most of us all uprooted our roots,” she says while waving toward friends walking by after Mass. “We came here, and we were alone so we became friends to one another. And I just loved it.” Cummings echoes her sentiments. “Everybody started here as a visitor,” she says. More singing, more singing – Many parishioners and clergy will say coastal parishes have a certain enthusiasm. “People think there’s a much warmer, more friendly vibe … [maybe] that happens to do with the beach?” Father McGee says, adding that greeters hand hymnals to those attending Mass at his parish. More vocal – At St. Brendan the congregation isn’t known for its shyness. When a visiting priest asked if anyone was from New Jersey, his home state, he didn’t just elicit hands in the air, but cheers. The same happened when his homily, which garnered applause at the end, mentioned Texas. 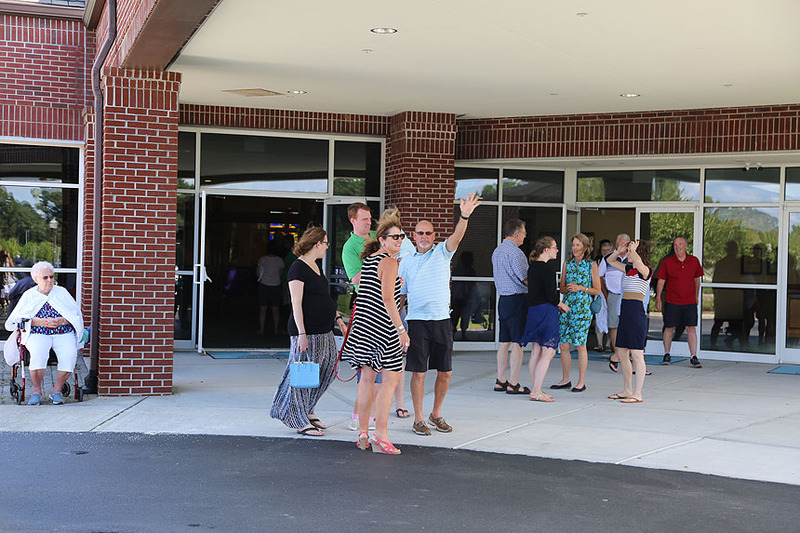 Parishes seek to see Christ – Welcoming visitors is a key part of life at coastal parishes. “One of the ministry goals for our parish is to see Christ in the visitor and our people have internalized that … they’re talking before Mass and it prepares them for the sign of the peace. They’ll know someone’s name next to them,” says Father Walsh. 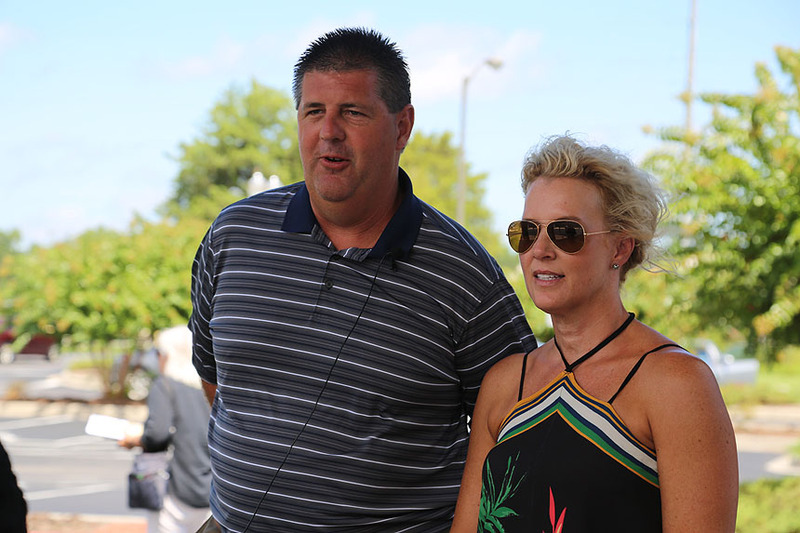 Visitors find a way – Vacation or not, Jeff and Nancy Michelone, who visit Holden Beach in the summer, say they look for Mass each Sunday. For the Huntersville couple, St. Brendan is a type of home away from home. “It’s always a great message when we come here. And people are friendly,” she says. 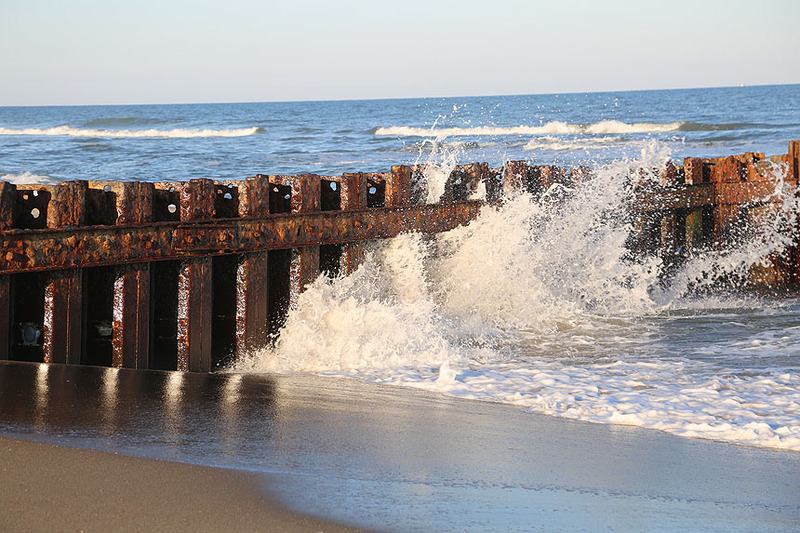 Picture this: you are sun-kissed and relaxed at the end of an Outer Banks vacation. As you sip your morning coffee, you glance around the kitchen. There are unopened cereal boxes, and a sealed oatmeal cannister. (You swore you were going to make it this time!) You definitely overestimated the juice and soda you’d need, and there are snacks left over. You don’t really want to pack it all, but you also don’t want to let it go to waste. 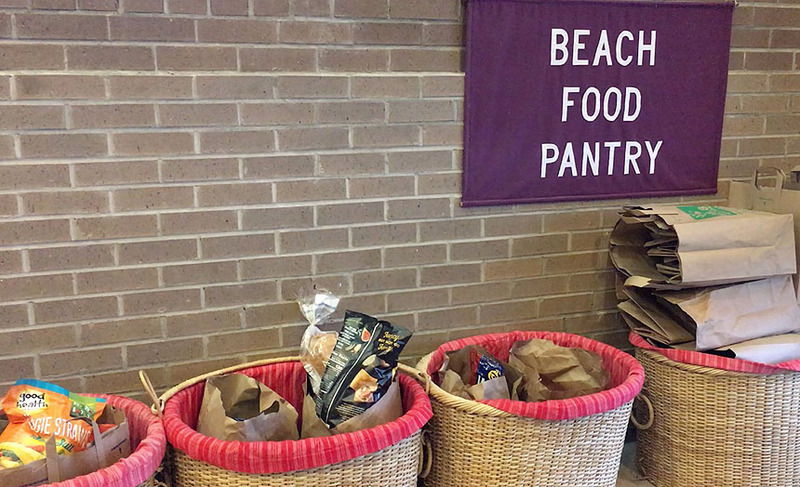 This is where the Beach Food Pantry becomes just as important as a well-anchored beach umbrella. 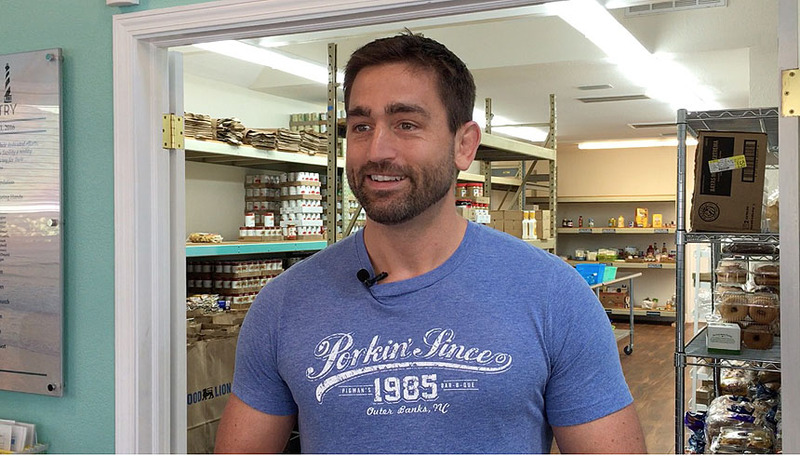 Located at 4007 North Croatan Highway in Kitty Hawk, the Beach Food Pantry is 1,000 square feet of grace for both donors and individuals who need food. 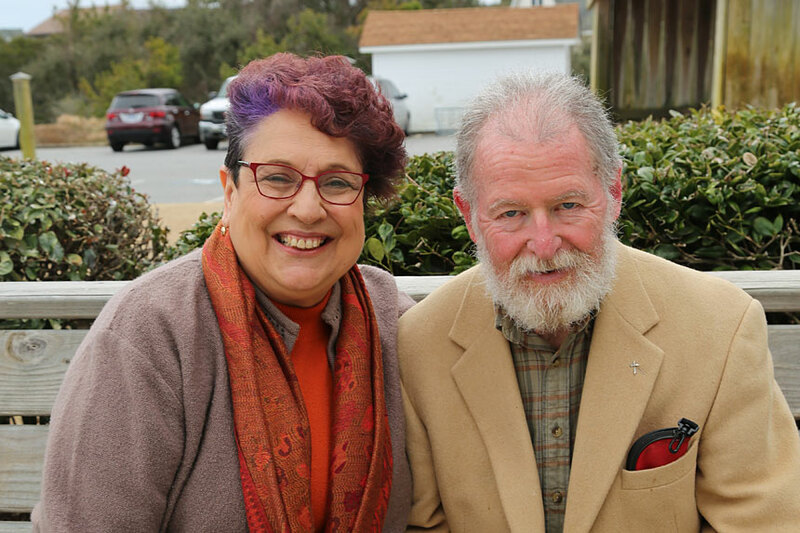 It all began in 1989, when leaders from local churches of differing religions realized that together they could do more to alleviate food insecurity in Dare County. Since those humble beginnings, when food was actually simply within a pantry in one of the churches, the organization has grown. The mission of the Beach Food Pantry is to provide nutritional assistance to clients who are facing a temporary crisis or emergency situation. To ensure they stay on mission, clients are only allowed to come to the food pantry a maximum of four times per year with a minimum of thirty days between visits. “We think of it as a hand ‘up’ not a hand out,” says Richard Bruce, chairman of the Beach Food Pantry Board of Directors. What he means is that when families come to them, they may have reached a critical moment of crisis, but the goal of the food pantry is to make sure they leave with both food and a plan. Beach Food Pantry clients not only receive two weeks’ worth of a large variety of foods, personal hygiene and pet items as needed, but they also get information on available resources. In addition to this core service, the organization also runs the Summer Food for Kids program. It’s easy to look at the beautiful beach homes of the OBX and think it is an area filled with wealth. However, approximately 42% of students in Dare County Schools meet the federal eligibility for free and reduced breakfasts and lunches. When school ends, so do these meals. The summer food program allows these school-age kids to get a weekly bag of food. 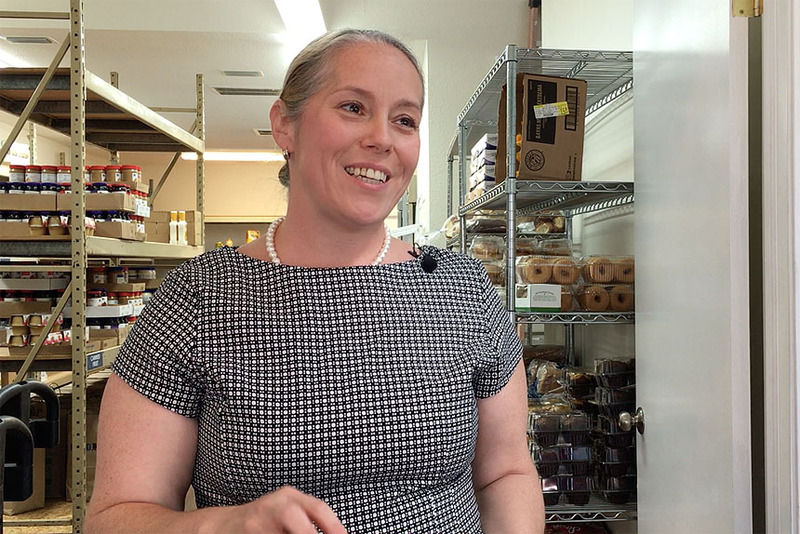 In addition to ensuring kids don’t have to battle hunger in the summer, this program introduces many parents and caregivers to the wealth of care and information the pantry can provide. 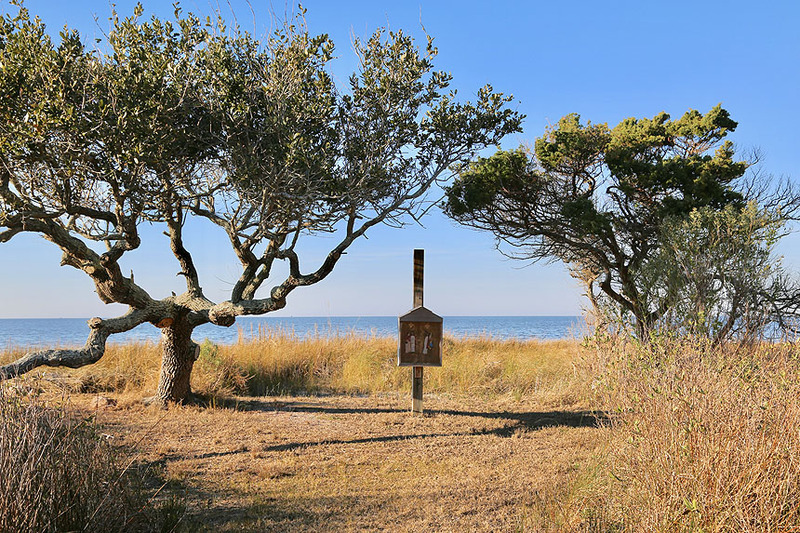 All of these programs are bolstered by vacationers and, in a large way, specifically by vacationers who attend Catholic Masses at Holy Redeemer by the Sea and Holy Trinity Catholic Churches. These churches encourage Mass attendees to bring extra grocery items to Mass and place them in baskets dedicated for the Beach Food Pantry. Volunteers transport the food from the churches to the pantry and ensure that it is organized so that it is easily navigated when needed. By the middle of the 2018, the yearly donations from Holy Trinity and Holy Redeemer by the Sea amounted to close to 3,000 pounds, which translated to almost 2,500 meals. The Beach Food Pantry is just one of many incredible organizations that are supported by our coastal parishes. So, vacation-and-Mass-goers: take note, take a bulletin, or glance at the bulletin board outside the church. Because what better way to leave a gorgeous vacation spot than feeling like you tried your best to leave it just a little better than you found it?